I’ve been making this delicious roast chicken for years and it has become one of our dinner staples. 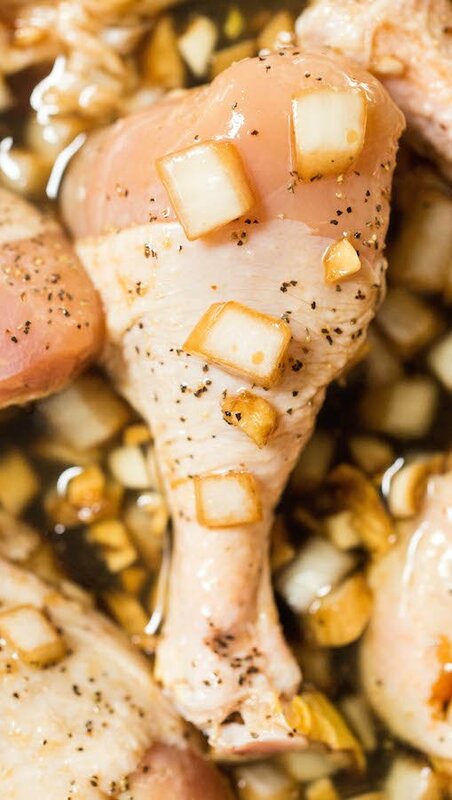 I have no idea where I originally learned the recipe, but over the dozens of times I’ve made it, it has been tweaked here and there and made into what I think is the absolute best marinade you can roast chicken legs & thighs in! Janette always wants a homecooked meal when she comes home from the road, and this roast chicken marinade is one of her favorites. I like it because there’s almost no prep time, I always have all the ingredients on hand, and there’s not much cleanup. I get bonus points if I also make one of her favorite side dishes, our Instant Pot Twice Baked Potato Casserole. 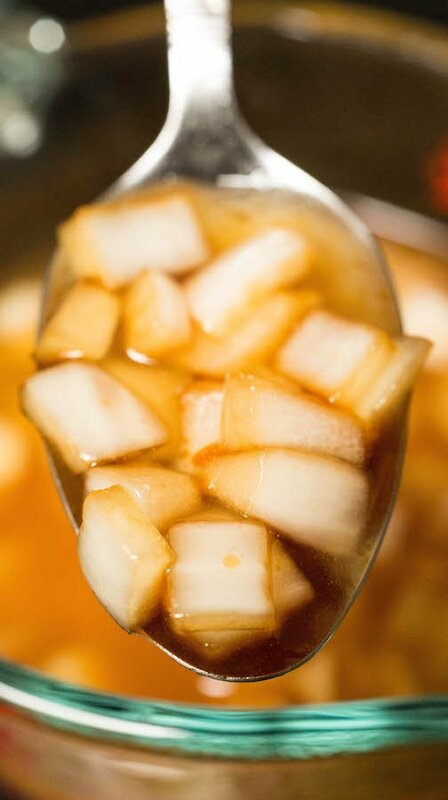 You can use any kind of chicken pieces you’d like with this marinade. I do a mixture of chicken thighs and drumsticks. I’ve found that this recipe is perfect for covering about 8 pieces. You can double or half it if you need to make a larger or small batch. 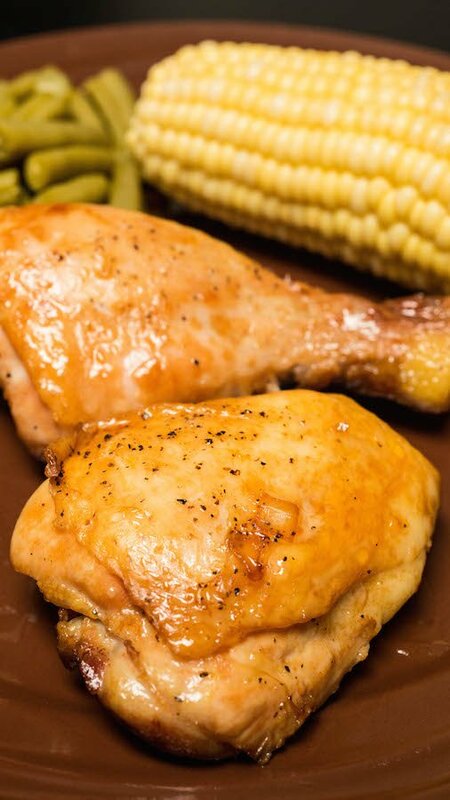 When the chicken is done baking, it’s a beautiful brown color and oh so juicy, tender, and delicious! One of the best parts of this chicken marinade recipe is the simplicity of the ingredients. You likely already have everything you need! 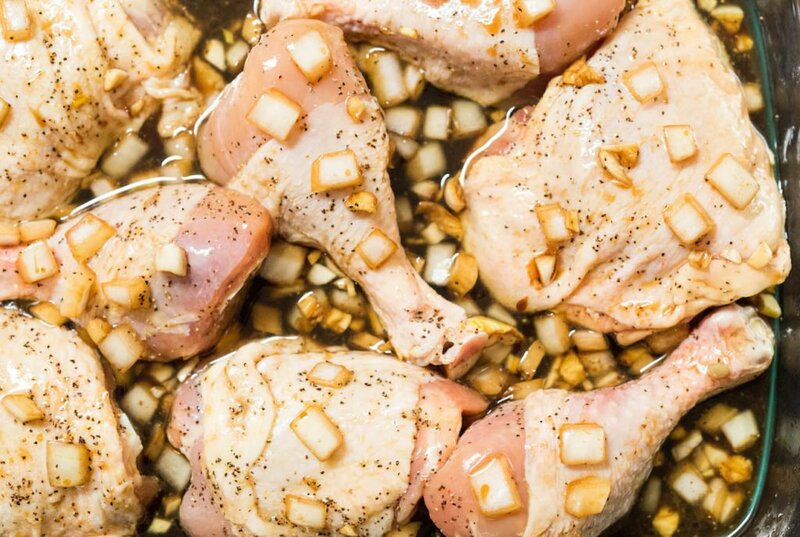 Making the marinade to roast the chicken legs & thighs in is incredibly easy. Simply combine all the ingredients in a bowl, then pour over chicken. You can let marinate for a few hours if you’d like, but you can also put the chicken in the oven right away. Combine all ingredients except the chicken and salt & pepper in a small bowl. Stir to combine. Add the chicken pieces to a large baking dish, skin side up. Sprinkle with salt and pepper. Pour marinade over the top of the chicken. Roast for 30 minutes, then flip chicken and bake another 10 minutes, until chicken reaches 165 Degrees F internally. Remove from baking dish and serve immediately.